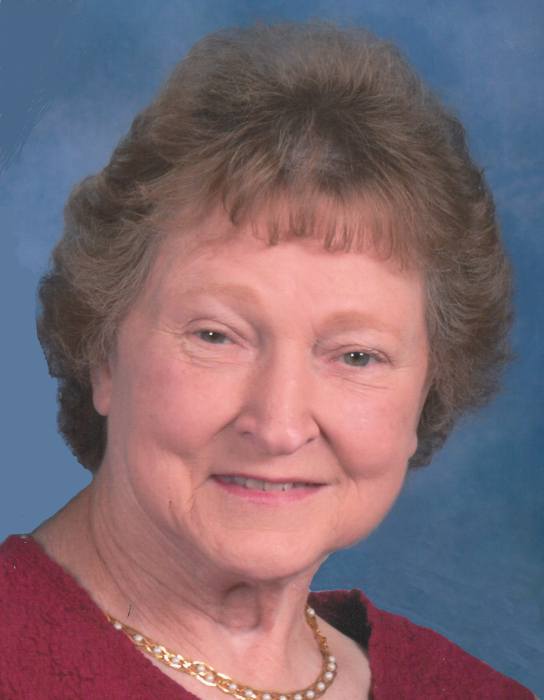 Shirley LaVeren Marie (Nooyen) Liebeck, 80, of Ashwaubenon, was called to heaven Tuesday, April 9, 2019. She passed peacefully in the comfort of her home, surrounded by her family. She was born November 15, 1938, in Green Bay, Wisconsin to Henry and Adele (Wierschke) Nooyen. When she was young, she contracted the Polio virus, but she never let it slow her down. She graduated from Pulaski High School and later went on to earn a degree in bookkeeping at the Northeast Wisconsin Technical Institute. During her time working as a bookkeeper at the Green Bay Press-Gazette, she married her sweetheart, Roger on May 19, 1962. They raised two beautiful daughters, Donna and Barbara, who later gave her four wonderful grandchildren. Shirley was known by all as a dedicated mother who treasured her children and embraced every moment with them. She especially loved her role as grandmother, sharing her love for reading, puzzles, and games with them. She inspired everyone who met her because she never let her physical challenges slow her down. She stubbornly demonstrated by example the power of positivity and perseverance in the face of great obstacles. All who loved her dearly will never forget her wit and grace. She will be greatly missed and forever in our hearts. She is survived by her husband, Roger Liebek; two daughters, Donna (Chris) Demlow and Barbara (Jack) Peters; four grandchildren, Carmen Demlow, Miles Demlow, Victoria Peters, and Samantha Peters; and her siblings, Raymonad (Joyce) Nooyen, Melvin Nooyen, Marvin (MaryAnn) Nooyen, Joyce White, Henry John (Janice) Nooyen, Darlene (Richard) Stedl, Diane (Charles) Harper, Janet Estey, Bernard Nooyen, and Ruben Nooyen; and her sister-in-law, Marilyn Nooyen. Shirley was preceded in death by her siblings, Edna, Elliott, Dorothy, Clarence and Kenneth Nooyen and Bernice Beck; sisters-in-law, Geraldine, Lola and Karla Nooyen; and brothers-in-law, Floyd White, Wally Beck, James Garsow, and Brandon Estey. A visitation for family and friends will be held on Friday, April 19, 2019 at Lyndahl Funeral Home, 1350 Lombardi Avenue, from 3:30 pm until the time of the Memorial Service at 6:00 pm, with Rev. Mike Ingold officiating. The family would like to extend a special thank you to Dr. Robert Mead as well as his nurses and staff at Bellin Hospital for their support and care.